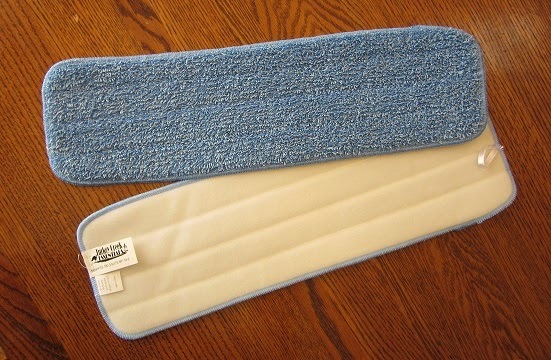 Our product is Microfiber Mop Pads - 18 Inch 2 Pack Premium Commercial Refill for Most Home or Industrial Velcro Frames. They are Foam Filled Replacements - Durable Washable Top Quality Split Microfiber and can be used Wet or as Dry Dust Mop Refills. Premium Foam Padded Replacement Wet Mop Pads Fit Most Velcro / Hook & Loop Style Home, Commercial and Industrial Mop Heads and Frames Such as Rubbermaid, Starfiber, Bona, Libman, O Cedar, Don Aslett and other Velcro mop frames. Place Pad on the Floor and Place Velcro Mop Head Frame Centered on the White Loop Side. Can Be Easily Removed from Head by Grabbing the Loop or Label and Pull. Use One for Dust and Dirt Pick-Up and the Other as a Damp Wet Mop, or Pick Up Extras for a Refill to Maintain the Best Clean for Hardwood, Tile or Laminate Floors. Does Not Leave Residue or Particles Behind. Genuine Turkey Creek Essentials Products Exclusively Sold on Amazon Only by Original Seller, Turkey Creek Essentials. Take No Imitations. 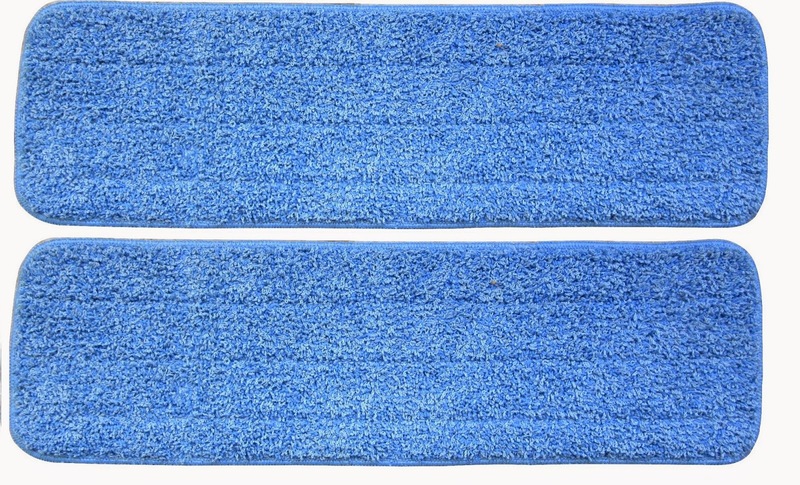 18 Inch 2 Pack Refill Microfiber Mop Pads By Turkey Creek Essentials are Durable and Washable Several Hundred Times Alone or With Other Microfiber in Your Washing Machine. Do Not Mix With Other Fabrics or Use Fabric Softener. Well Made 100% Microfiber 3mm Plush Foam Padded 80% Polyester 20% Polyamide Do Not Iron or Dry With Other Materials. Drip Dry or Tumble On Low With No Fabric Softener. Perfect for Damp Wet Mopping for Regular and Routine Cleaning as a Hardwood Floor Cleaner Pad. 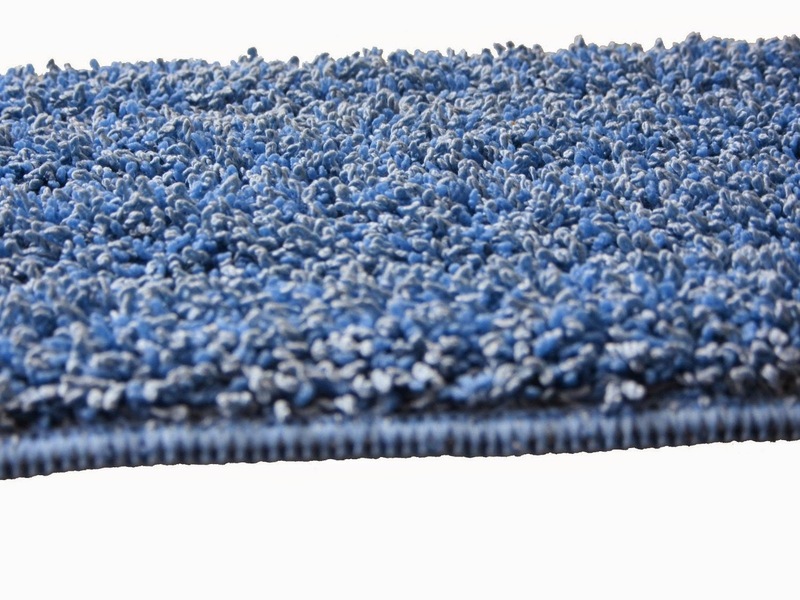 The Durable Foam Center Allows Our Microfiber Mop Pads to Be More Rigid Than Most Damp Mop Pads Available. 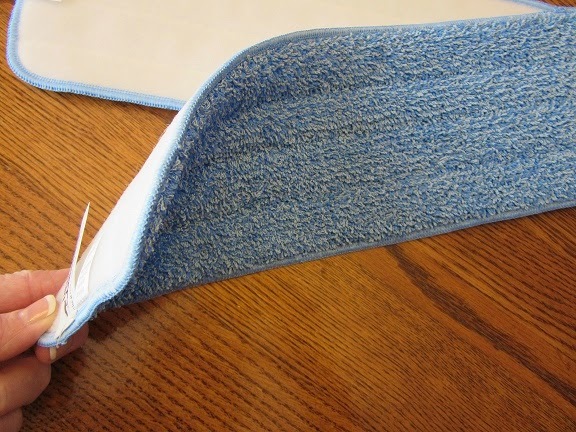 The Strong Over-Lock Stitched Edges Allow a full 5.5 Inches Wide and a Full 18 Inches in Length of Cleaning Area. No Edge Binding to Take Away From Cleaning Area. When it Gets Soiled Rinse, Wash or Replace With the Second Pad. Use One for Wet Mopping and the Other for Dry Dust Mopping for a Real Clean, Streak Free Shine. I got to try these 18 inch Mircrofiber Mop Pads and I was impressed as soon as I opened the package. They are nice and thick with a velcro backing and are of good quality and the stitching is nice and sturdy. I gave them a try, first on my hardwood floors as a duster and it worked very well! I love the large 18 inch pad, it took me no time at all to dust the hardwood floors. I then tried it as a damp mop, with my favorite hardwood floor cleaner, again this worked very nicely. I decided I would keep one pad for dry dusting and one pad for wet mopping. I love that they can be laundered and drip dried or on low delicate setting. I recommend this high quality microfiber mop pad.